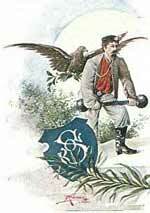 Sokol Los Angeles (founded in 1909) is an American Czech/Moravian/Slovak social, gym, and educational organization established to carry on the American Sokol philosophy. 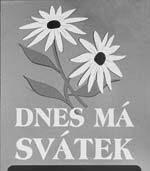 Our organization is open to all individuals interested in the Czech/Moravian/Slovak cultures and the American Sokol philosophy. American Sokol is an organization dedicated to the physical, mental, and cultural advancement of its members, the youth and adults that attend its programs, and a local communities it serves. Sokol was founded on the philosophy that only physically fit, mentally alert, and culturally well-developed citizens can make a nation strong and give life to the honorable spirit of patriotism. To build a healthy and beautiful human body; to cultivate a harmonious and total person; to develop firm character, a well-rounded disposition, and a love of truth and justice; to produce strong, lovely, and honorable people; that is the goal of Sokol education.